How to Clear IPS Entrance Exam without Coaching - Pro Tips! 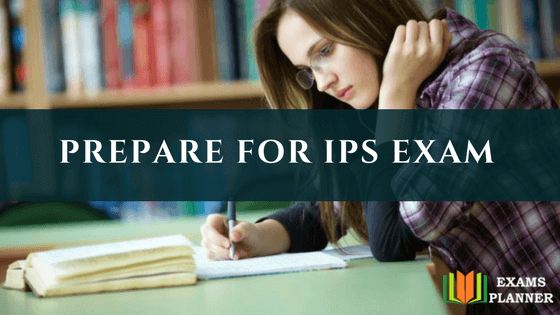 How To Prepare For IPS Exam Without Coaching? The Indian Police Service exam is one of the three Civil Services Examinations (CSE) conducted by the Union Public Service Commission every year. The other two exams which come under the CSE are the India Administrative Services (IAS) and Indian Foreign Services (IFS). The IPS exam is considered as one of the toughest exams in the country. Thus, the coaching fee for the exam is quite high. Not every student is comfortable in paying such a big amount. So, the only way out is to go for self-study. Another option here is to go with self-study for the Prelims and join a good coaching institute for Mains. And, previous years’ toppers have proved that it is not impossible to get through the IPS exam without coaching. Follow NCERT Books: When you are preparing for the most prestigious exam that India brags about, you just can’t take it for granted. As you embark on this rigorous journey, ensure to collect the NCERT books of class 6th to 12th of the subjects covered in Prelims and study them thoroughly. Candidates thinking to appear the exam in Hindi need to refer to IAS Books in Hindi Medium. Previous Year’s Question Papers: Analyse previous years’ papers topic-wise. This will save time and you will have quite an idea of how to go about it. Writing Practice: While practising the previous year’s question paper, pay ample attention to writing. Set a time limit and see how you are performing for each question. More practice improves writing skills. Count on Online Mock Test: Give online mock test, analyse your answers and evaluate your strength and weakness. Interpretation of your answers will take you one step closer to your dream. Try out the UPSC Prelims test series to test your skills. Read Newspaper-Make it a Habit: Read newspaper daily to stay updated with current affairs. You can subscribe for a monthly magazine such as The Frontline, Chronicle, Kurukshetra, Yojana, Survey of Indian industries etc. Follow Topper’s Tips: Read interviews of previous years’ toppers for their suggestions. They are the individuals who had taken the pain and now guiding you to prepare for the exam the best way. Daily Exercise: Most importantly, IPS exam demands physical fitness. Make it a habit to wake up early and run for 5 kilometres. It will keep you healthy and fit. Joining a good coaching institute will surely be helpful in cracking the IPS exam Mains. If it is not possible for you to join a coaching institute on a regular basis; ask for weekend classes. Cracking the Mains of IPS exam without coaching is also possible; however, you have to make a tight study schedule and follow it by your heart. Proper guidance combined with the right attitude and perseverance will lead you to crack the IPS exam. “Dedication and Commitment will convert DREAMS into REALITY”.